Desertification is the result of natural and anthropogenic processes, leading to degradation or loss of the land’s productivity and complexity. To assess the desertification status, integrated set of indicators must be identified. 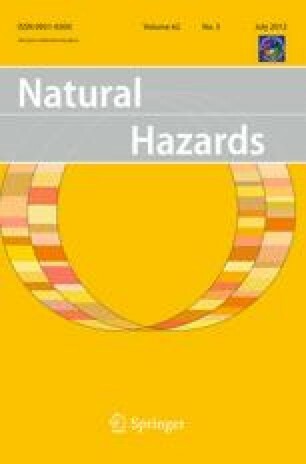 Indicators must provide synthetic information on threshold levels, status and evolution of relevant physical, chemical, biological and anthropogenic processes. Multi-criteria decision-making (MCDM) is a collection of methodologies to compare, select, or rank multiple alternatives that involve incommensurate attributes. Technique for order preference by similarity to ideal solution (TOPSIS) method is a multiple criteria method to identify solutions from a finite set. TOPSIS is an algorithm for determining the most preferable choices among the possible indicators that can be developed. The aim of this paper is to introduce TOPSIS as a decision-making method for the selection and integration of desertification indicators. The simulation case study presented here is related to the selection of the best set of indicators to monitor land degradation by remote sensing in three different countries (Brazil, Mozambique and Portugal), within the framework defined by the DesertWatch Extension project. The data used were kindly provided by the DesertWatch Extension project, a project funded by the European Space Agency (ESA) and coordinated by Advanced Computer System (ACS Spa). Data have been collected by the implementing Consortium lead by Critical Software SA. Authors would like to thank Prof. S. Madrau of the Sassari University for his assistance in the preparation of this paper.